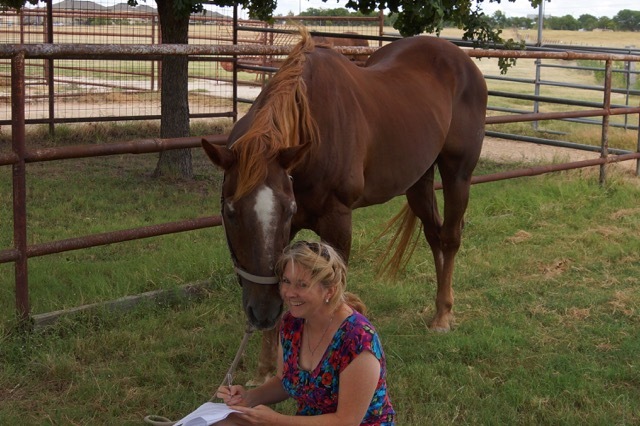 A Horse that can read, write, and do math? That’s what people thought until former slave and self-taught veterinarian Dr. William Key, with his “educated” horse Beautiful Jim Key, proved that, with kindness, anything is possible. Over nine years of exhibiting across the country, Doc and “Jim” broke racial barriers, fueled the humane movement, and inspired millions of people to step right up and choose kindness. This question ties so perfectly into my belief that there’s a piece of us in everything we write. In 2006, I read a book about Beautiful Jim Key, authored by Mim Eichler Rivas (William Morrow 2005/Harper Paperbacks 2006). It was a given that I would be drawn to a horse book. 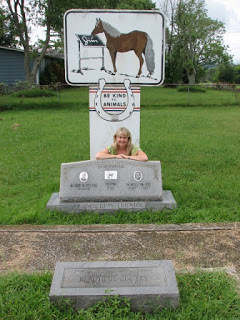 I grew up on a Quarter Horse ranch, where life revolved around raising, training, and showing horses, and caring for the myriad livestock and other animals. I have always been an animal lover, and I know firsthand how powerful the human-animal bond can be—how the combination of time, trust, and affection can create such synergy that you can practically read each other’s minds. Courtesy of Tennessee State Library and Archives. That kind of relationship bonded William “Doc” Key and his horse, Beautiful Jim Key. While the horse was what drew me to the story, I was immediately awed by Doc. His greatest historical contribution was an unmistakable message about kindness, in a time of extreme racial prejudice, and brutal treatment of animals. How could I not love the story of a man who overcame so much to make a real difference in the world? Thanks to Doc, “Jim,” the horse, became a sort of poster child for the emerging humane movement, while Doc overcame injustices, broke racial barriers, and helped change the way people thought about and treated animals. Doc was awarded a Service to Humanity Award, and Jim was awarded a “Living Example” award. So, back to your question, Cyn, about what inspired me to write this story—it spoke to my heart. I dived into research with zeal. First, the research. It was claimed that Beautiful Jim Key could read, write, calculate math problems, compete in spelling bees, identify playing cards, operate a cash register, and more. I had to get to the bottom of how this could be possible. I used the adult book as my jumping off point, but I wasn’t satisfied to rely solely on somebody else’s research. This is a story that straddles the 19th and 20th centuries, so I read a great deal about the period, including slavery, the Reconstruction Era in the distinct regions of Tennessee, the history of the humane organizations; the related World’s Fairs, Doc’s business interests, etc. Emotionally, the most difficult part was reading about how animals were treated in the 19th century, and, more importantly, how enslaved people were often treated with similar brutality. Only a tiny fraction of my research appears in the book’s back matter, but it all deeply affected my approach to the story. 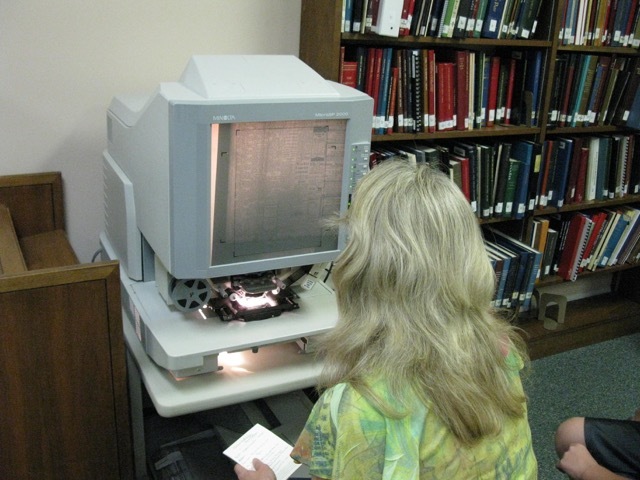 I visited the Shelbyville (TN) Public Library and skimmed through their microfilm. Then I spent some time at the Tennessee State Archives, donning white gloves as I perused the crumbling scrapbooks from the BJK collection. During that 2009 trip, I also visited the humble Beautiful Jim Key memorial in Shelbyville, TN, and Doc’s grave site at the Willow Mount Cemetery. (I might have shed a few sentimental tears.) We then tracked down what I think was Doc’s former property, though the house is long gone. This kind of onsite research, along with old photos and local news accounts, allowed me to imagine the setting of Doc’s hometown. Back home, I collected binders-full of newspaper articles, playbills, and promotional booklets. Through these, I got a feel for how people thought about Doc and Jim. And, most importantly, I found some of Doc’s explanations for how he taught the horse. What became clear was, though we may never know exactly how the horse was able to do so many remarkable things, the countless news reporters and professors who tried to prove trickery or a hoax, never found anything beyond “education.” Jim only rarely made mistakes. Ultimately, what Doc and Jim did for the humane movement is even more significant than what the horse performed on stage. Originally, I had planned the story for middle grade audiences until my agent (who wasn’t my agent yet) suggested that I try a picture book version. I already had half of the chapters written by this time, so I was aghast at the thought of starting over. And I didn’t know how to write a picture book biography. I spent the next two years analyzing and dissecting a couple hundred picture book biographies to figure out how they work. I decided to blog about some of my craft observations, using the platform as a quasi-classroom for myself and anyone else who might happen upon my site. Many, many, many drafts later, I had a manuscript that attracted the attention of a few editors. Lee and Low was the perfect home for Doc and Jim. There was a built-in challenge in writing this story about a formerly-enslaved African American man. Because I don’t fit any of Doc’s descriptors, it was doubly important that I approach the subject with respect and sensitivity. I couldn’t merely charge through with the mindset that I’m just the historian sharing documented facts. It is so exciting to finally be crossing the threshold into this new role. The past nine years, which is how long I’ve had the story in my head and in my heart, have felt like the longest-ever pregnancy. There’s a mixture of joy, relief, and fear during this delivery stage. Fortunately, so far, very nice starred reviews have praised the book, and each reviewer wisely sings the praises of Daniel Minter’s spectacular lino-cut acrylic art. As I think ahead to marketing and promotion, I’m planning for the Oct. 15 release, the Oct. 23 launch party, and how the book might raise awareness of the need for more kindness in the world—not only toward animals but toward each other. From my very first draft, nine years ago, I knew I’d revive the original Beautiful Jim Key Pledge—originally signed by two million people during Doc and Jim’s time. I plan to incorporate the pledge into my author presentations, and it will be downloadable from my website soon. I also hope to align with some humane organizations to help them raise awareness. I have two more books under contract, several others on submission or in revision, and a novel-in-progress. In 2018, Peachtree Publishers will release En Garde! Abraham Lincoln’s Dueling Words, illustrated by S.D. Schindler, followed in 2019 by King of the Tightrope: When the Great Blondin Ruled Niagara, illustrated by Adam Gustavson. Such is the author’s life, right? We write, we rewrite, we revise, we sell, we wait, we celebrate, then we do it all over again. Because we can’t imagine not writing something that moves us. And we can’t imagine not writing for young people. Book Launch! Join Donna Janell Bowman at 3 p.m. Oct. 23 at BookPeople in Austin. Donna will be speaking and signing. Fundraiser: Step Right Up and Help The Rescued Horses of Bluebonnet Equine Human Society: “They are horses, donkeys, and ponies that are helpless and hopeless. And they are hurting. The lucky ones land at Bluebonnet Equine Humane Society. Under the loving care of professional staff and volunteers, the animals are medically and nutritionally rehabilitated, then placed with trainers to prepare them for re-homing/adoption.” See also Interview: Step Right Up Author Donna Janell Bowman by Terry Pierce from Emu’s Debuts. 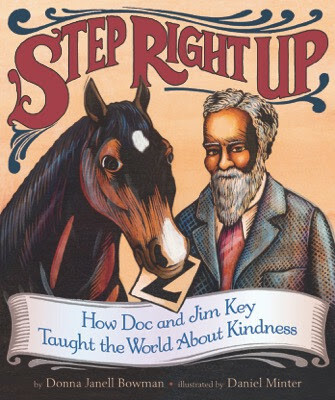 Enter to win two author-signed copies of Step Right Up: How Doc and Jim Key Taught the World About Kindness by Donna Janell Bowman, illustrated by Daniel Minter (Lee & Low, 2016). I am so honored to be featured on Cynsations! Thanks for having me, Cyn, and for being such a generous supporter! I can't wait to add this book to my classroom collection of pb biographies, Donna! Congratulations on a beautiful book! What a beautiful idea for a beautiful story. Thank you! I love biographies for kids! Way to go!